Thank you for your interest in working with the Network of Wellbeing (NOW). We are a small and friendly team, and we welcome your interest. The Network of Wellbeing (NOW) is looking to appoint a part-time Manager to oversee the smooth operation of Eden Rise, its retreat centre to the west of Totnes, Devon. This will include managing a small team to ensure the centre is well-maintained and well-used in line with NOW’s charitable objects. To apply, please email your CV and a covering letter explaining why you’d be the right person for the position to roger@networkofwellbeing.org by the deadline of Friday, 29th March at 10am UK time. Share Shed – A Library of Things Assistants: Full role details here [pdf]. 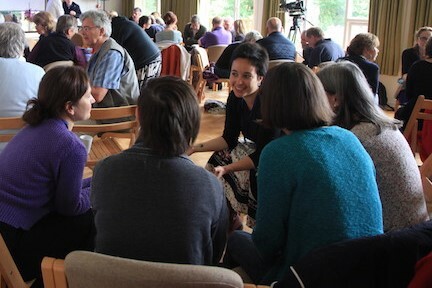 We often have opportunities to help our work in Totnes (Devon, UK) and working remotely online. Please contact us to let us know how you’d like to get involved.